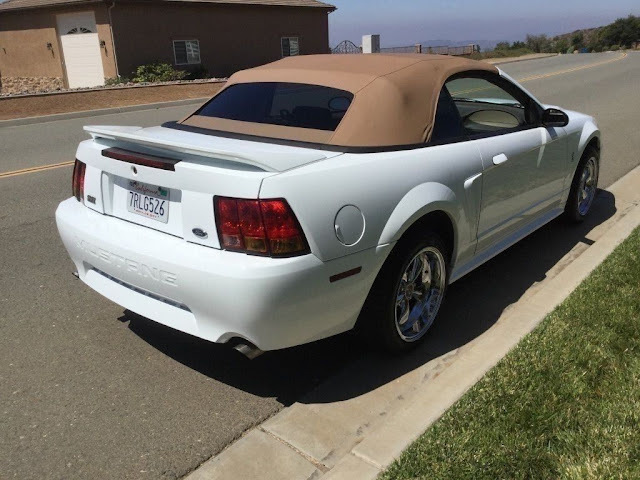 Find this 1999 Ford Mustang Cobra Convertible here on eBay bidding for $4,000 with a few hours to go, located in Santee, CA. This car runs and drives great. The car is all original except for the cat back exhaust system and a set of chrome wheels. 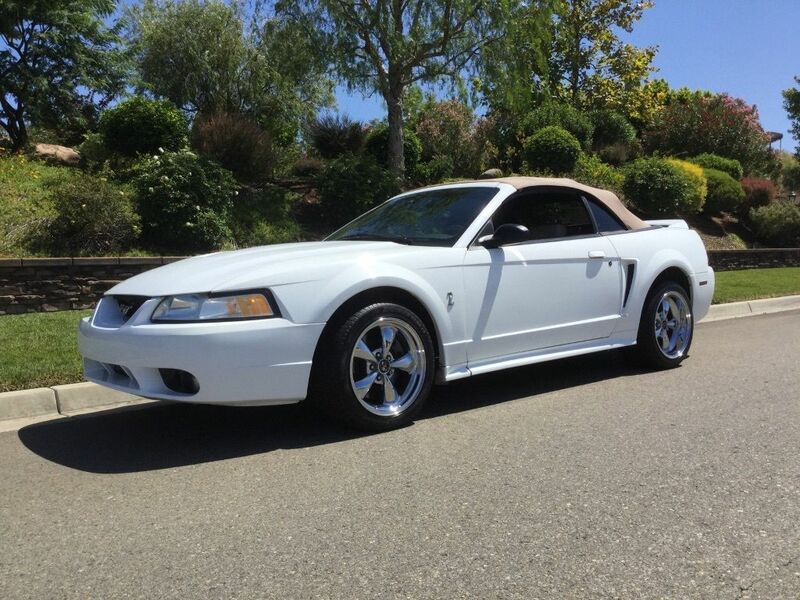 It has 110k original miles and has never been modded or raced. The paint is in great shape and the interior as well. The top is new and does not have any issues. 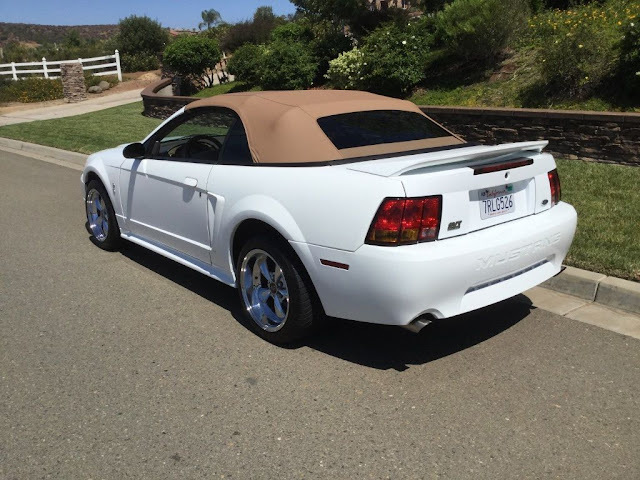 The car is currently registered in California and has a clean California title and is smogged and ready for transfer. The engine starts up and runs perfect. It does not leak or smoke, no ticks or any strange sounds at all. The oil and coolant have been changed on time every time. The trtansmission shifts perfect, no hard shifts, grinds and does not pop out of any gears. The clutch has a lot of life and does not slip or chatter. The steering and suspension is above average for a 17 year old car with over 100k miles. It goes down the road straight, stops great and shocks are great. This is not a rattly car at all, its very solid and has not been beat on like most. The interior is good. It does have a flaw on dash from where a sticky pad was mounted. The front seat has had a reapair done and the back seat bottom has a hole but overall the interior is good. Does show signs of use but not bad. All the glass is good. All the windows go up and down as well as the top. The ac is cold, heater blows hot, all vents and hvac doors work correctly. Gauges all work as well as all the lights, wipers, signals and horn.